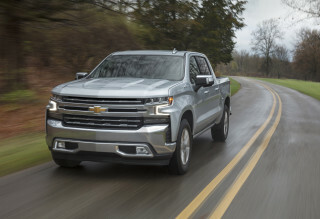 The Silverado is strong enough for most drivers with GM's revised 5.3-liter V-8, while buyers looking for big power and towing numbers will appreciate the 6.2-liter V-8 and its new eight-speed automatic transmission. The 2015 Chevrolet Silverado continues with a serious face, impressive powertrain options, a comfortable and refined interior, and the right mix of technology. 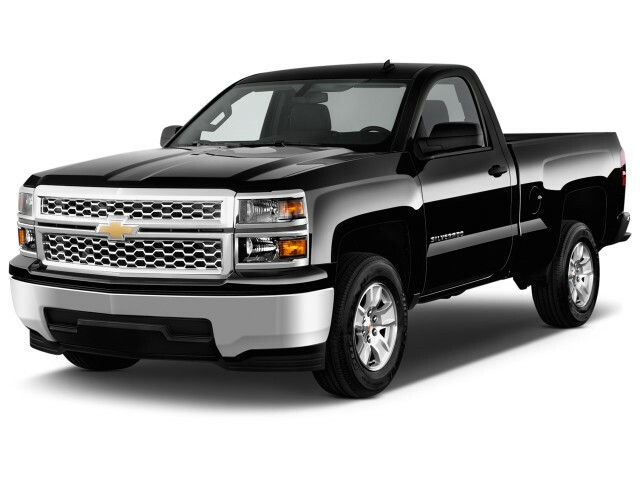 The 2015 Chevrolet Silverado 1500 represents the second model year of Chevy's latest truck design. The truck was completely redone for 2014, with a design that closely mimics that of the brand's heavy-duty models. The latest Silverado has an upright, chiseled look inside and out; a strong yet fuel-efficient engine lineup; quieter, more refined cabins; and a long list of safety and infotainment technology. It all simultaneously nods to the looks of buff Chevy HD trucks while adding a luxury-car feature set to the top of the lineup. While the newest Chevy half-ton trucks are now closer in appearance to their three-quarter- and one-ton counterparts, some may have a hard time discerning them from the last generation of GM's pickups. The overall look is similar, with the almost set-in-stone pickup proportions present, but the details have all been improved and tweaked. On close inspection you'll notice cleaner styling, fewer items hanging down and visible from front and rear, and additional trim-specific accents. The interior keeps its logical layout, with most controls located either to the left of the steering wheel or in the large center stack. Materials have been given an upgrade, with most touchpoints now made of soft rubber. All knobs and controls are large, for easy use at a glance and to allow for operation with a gloved hand. 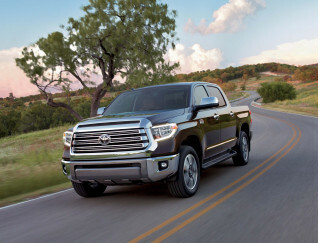 Silverados get a true top-of-the-line model to rival GMC's Denali for the first time; called High Country, the package includes durable leather, unique wood trim, and the largest touchscreen display, an eight-inch unit. This generation of trucks also brought with it a new family of engines. All feature aluminum blocks and heads and are now equipped with direct injection, cylinder deactivation, and continuously variable valve timing. The base engine is once again a 4.3-liter V-6, but it has been reengineered and now carries the EcoTec3 brand. The V-6 generates 285 horsepower and 305 lb-ft, a sufficient amount of torque to be paired with the heavier crew-cab models; we think it has enough power for all but the most serious towers and haulers. A step up, the 5.3-liter V-8 remains the mainstream pick, now rated at 355 hp and 383 lb-ft, while the top 6.2-liter V-8 is provides the most power, torque, and capability. 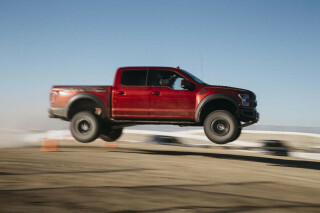 It makes 420 hp and 450 lb-ft of torque, and can tow up to 12,000 pounds. A six-speed automatic transmission is fitted to the V-6 and 5.3-liter V-8. New for 2015, 6.2-liter models receive a new eight-speed automatic in place of the prior six-speed, which should improve towing and hauling ease, as well as overall performance and acceleration. The latest changes produce fuel-economy improvements: The V-6 nets up to 18 mpg city, 24 highway by the EPA, but V-8 models range up to 16/23. The outgoing generation of GM’s trucks boasted well-tuned ride and responsive handling, and the new versions take that promise further with several enhancements while also improving cabin noise levels and refinement. Front springs are stiffer in the new models, while in back GM uses two-stage leaf springs but adds new spring damping, as well as twin-tube valving to front and rear shocks. All Silverado 1500 models get electric power steering that loads up confidently, and four-wheel disc brakes are standard across the model line, with a Duralife rotor design offering a longer service life. Three different cargo-bed lengths are offered: 5’8”, 6’6”, and 8’. 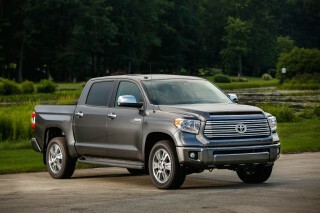 Unlike with previous generations, Crew Cab models are available with the 6’6” cargo box. GM has put a lot of effort into the pickup box design, adding a CornerStep bumper plus hand-grip pockets, both of which make climbing up to access cargo easier. A couple of particularly trick features are that the tailgate is now rotary damped to prevent it slamming down with a thud, and there are LED lamps tucked under the bed rails to improve visibility, especially when a truck cap or tonneau is installed. Vinyl, cloth, and leather seats are all on offer, but in each case they've been upgraded, with higher-class cabin trims used throughout. Road noise has been reduced greatly, thanks to more sound-isolating materials in the floor and near the firewall. Crew Cab models’ rear doors are larger, for easier entry and exit, and the B-pillar has been moved forward, which helps get feet in more easily. Meanwhile, the rear doors on extended-cab versions now hinge from the front—they're called Double Cab in this generation—offering entry and exit ease that’s close to that offered in former Crew Cab models. The front seatbacks are thinner, which increases rear leg room by about two inches and also eases entry and exit. For a more luxurious take--roughly equivalent to GMC's Denali line--there's the High Country package. Bringing quality leather upholstery and wood trim, along with other upgrades, the High Country package gives the Silverado the premium feel its highest-end trucks have missed in previous generations. Safety-wise, the Silverado provides improved occupant protection, as the cab structure was all-new last year, with about two-thirds of it built from high-strength steel. The federal government says crew cabs earn its highest five-star rating overall, and the IIHS has given the Silverado a top 'good' rating in the moderate overlap front test. Standard equipment includes StabiliTrak with Trailer Sway Control, plus Hill Start Assist, as well as head-curtain side airbags with rollover protection. An available Lane Departure Warning system keeps the driver alert of lane drifts via a chime or optional Safety Alert Seat—a vibrating chair much like what’s offered now on the several Cadillac models. Bigger spotter mirrors help with visibility in blind spots, while other safety features on offer include a camera-based Forward Collision Alert system. front and rear park assist, and a rear tailgate camera. Chevrolet's MyLink infotainment system is available on the Silverado, offering connectivity for up to ten devices, natural-language voice recognition, and an eight-inch touch screen. The system allows for programming of up to 60 favorites for contacts, destinations, radio stations, or other media. All models now include multiple USB ports plus both 12-volt and 110-volt power outlets, and most models include a 4.2-inch color Driver Information Center. And this year, an Enhanced My Link version adds text-message alerts, Siri Eyes Free, and an available OnStar 4G LTE hotspot (with an embedded/subscription data service). With the Silverado's redesign last year, these Chevy trucks are definitely evolutionary, not revolutionary; but you do get an even bolder look than before. Now a year after a full redesign, the 2015 Chevrolet Silverado 1500 is getting easier to discern from the previous Chevy half-ton truck. The overall look is similar, with the almost set-in-stone pickup proportions present, but the details have all been improved and tweaked. On close inspection you'll notice cleaner styling, fewer items hanging down and visible from front and rear, and additional trim-specific accents. In front, the look is taller and more blunt than ever, and takes cues from Chevy's latest heavy-duty (HD) trucks while also moving to an almost big-rig-inspired look, which has become common in the truck market. 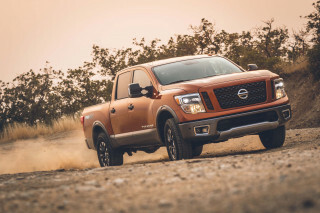 The look is more imposing, thanks in part to a hood placed at the same height as the HD trucks', more brightwork on higher trim levels, and a mesh-honeycomb appearance to the grille. Meanwhile, the dual-dome hood and more chiseled details of the sheetmetal help give it a more high-shouldered, squared-off look, and the wheel wells have even been squared off a bit more to accent the profile. Surprisingly, these trucks are more aerodynamic than their predecessors—thanks to a grille design that is mostly blocked off and a hood shape that helps channel air over the windshield wipers. Twin-stacked projector-beam headlamps (on the LTZ model), more sculpted body sides, and flared fenders altogether give them a little more personality—and add to the macho look. New 17- to 20-inch wheels are all a half-inch wider than before, while 22-inch wheels are on offer as accessories. Inside, it's refreshingly different if you've spent time in any of the outgoing GMT900 trucks. GM has resisted the urge to make the interior of its trucks either more complex, or even lower and more carlike. The new instrument panel is upright and simplified, with controls clustered either just to the left of the steering wheel or in a large, upright center-console area, and GM has aimed to make all the knobs, buttons, and interfaces easy to read and operate even with work gloves on. This also helps the ungloved who just want to change a setting with only a glance at the controls. Materials have been given an upgrade, with most touchpoints now made of soft rubber. Silverados also get a true top-of-the-line model to rival GMC's Denali for the first time; called High Country, the package includes the fanciest appointments and features as well as distinct exterior treatment and badging. For 2015, four new colors have been added to the lineup: Rain Forrest Metallic, Deep Ocean Blue Metallic, Sunrise Metallic, and Pewter Metallic. Strong V-6 and V-8 engines allow the Silverado lineup to tow and haul with ease -- and the brawniest 6.2-liter gets a new eight-speed auto for 2015. The 2015 Chevrolet Silverado 1500 uses a line of reengineered engines that was introduced with the redesign last year. Options include the base V-6, which is plenty powerful for most use, as well as a pair of V-8 engines. All three engines feature cylinder deactivation technology, which allows the engine to smoothly transition to running on four cylinders (for the V-6 or the V-8s) when engine load is low, such as in highway cruising, coasting, or decelerating. An active exhaust system makes up for the required change in backpressure when the switch occurs, and also does its best to keep the associated pulses from being felt or heard by occupants. These truck engines use a pushrod design based on GM's storied small-block architecture; it may sound like quaint technology, but it is simple and proven, while GM ads that the design gives a packaging advantage as a result of the small, power-dense engine unit. The engines feature aluminum blocks and heads for reduced weight, as well as direct fuel injection and continuously variable engine timing, which can aid fuel economy or generate greater power as needed. The base 90-degree, 4.3-liter V-6 is essentially a V-8 with two cylinders lopped off, but it has a balance-shaft design to provide acceptable smoothness. 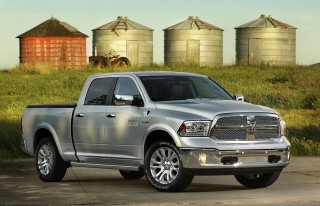 And with 285 horsepower and 305 lb-ft, the V-6 is now strong enough to power crew-cab models or trailer-tow. In fact, we think that for all the full-size buyers who never tow more than a modest pleasure boat or a trailer of snowmobiles or ATVs, this V-6 has more than enough muscle for the job. We towed a 4,700-pound camper-trailer with the V-6 and had no problem merging into highway moving traffic or maintaining speed up rather steep hills. Meanwhile, the 5.3-liter V-8 remains the mainstream pick. It makes 355 hp and 383 pound-feet of torque and allows the Silverado to, when properly equipped, tow up to 11,500 pounds. We've found performance with this engine to be confidence-inspiring and quick, even with a load in the bed. 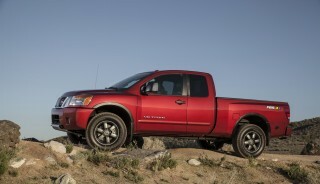 Top trims, including the High Country, can be optioned with a 6.2-liter V-8. It provides the most power and torque of the bunch, and can tow and haul the most as a result. This engine makes 420 hp and 450 lb-ft and can tow up to 12,000 pounds. The V-6 and 5.3-liter V-8 are both equipped with a six-speed automatic transmission. For 2015, the 6.2-liter is paired with a new eight-speed auto, which should improve fuel economy and powertrain flexibility. GM's six-speed units have proven very smooth, with both up and downshifts occurring almost imperceptibly even under heavy loads. We expect the same to be true of the new eight-speed. 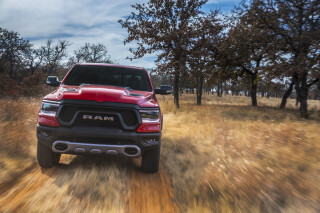 It's also a safe bet that the eight-speed will show up in trucks with the other engines in the next year or two, so if that's something you're after it might be wise to wait. The outgoing generation of GM’s trucks boasted well-tuned ride and responsive handling, and the new versions take that promise further with several enhancements while also improving cabin noise levels and refinement. Front springs are stiffer in the new models, while in back GM uses two-stage leaf springs but adds new spring damping, as well as twin-tube valving to front and rear shocks. All Silverado 1500 models get electric power steering that we can actually say is an improvement (both in on-center feel and off-center weighting) over the outgoing hydraulic setup, while four-wheel disc brakes are standard across the model line, and a Duralife rotor design offers a longer service life. More comfortable seats, better-hushed cabins, and improved upholsteries and trims all make the 2015 Silverado plush, even among rival pickups. Those who need a big, capable truck like the 2015 Chevrolet Silverado tend to spend a lot of time in their vehicles. And thankfully, GM has paid even more attention to cabin design, seating, and comfort this time around, adding more amenities than in the last generation. Cargo access has also been improved. And of course, there are several layouts (as well as many other trims and bed lengths) to suit any individual's planned use. Although single-row cabs are still offered, they are chosen much less often than in the past. GM has been selling nearly 60 percent of its full-size trucks in roomy Crew Cab configuration, and about 90 percent all together in Crew Cab and Double Cab layouts. Three different cargo-bed lengths are offered: 5’8”, 6’6”, and 8’. Unlike with past generations, Crew Cab models are now available with a 6’6” bed. In the roomiest Crew Cab models, the rear doors are larger, for easier entry and exit, and the B-pillar has been moved forward, which helps rear occupants swing their feet in more easily. Meanwhile, the rear doors on Double Cab versions now hinge from the front—offering entry and exit ease that’s close to that offered in previous Crew Cab models. The front seatbacks are thinner, which also adds about two inches of rear legroom and also eases entry and exit, and so-called 'foot swing' (the distance available for feet to swing in and out of the door opening) is four inches greater. Perhaps looking for ways to differentiate its offerings, GM has focused some attention on easier access to the bed, adding a CornerStep bumper plus hand-grip pockets, both of which make climbing up to access cargo easier. The tailgate now opens in a damped motion, avoiding the loud thud that can accompany the act of opening it, and there are LED lamps hidden under the bed rails, which especially help to see what's inside when a truck cap or tonneau cover is installed. GM has also added new shear-style mounts between the cab and the frame to help reduce noise and vibration. Models with the 6.2-liter V-8 feature active noise cancellation to quell the four-cylinder thrum when cylinder deactivation is active. Wind-noise-reducing measures include triple door seals and a new door design that fits into the side—rather than wrapping up into the roof. Inside, Chevy has added a new high-wear seat cloth to the Silverado; options range from tough vinyl in Work Truck (WT) trims all the way up to supple piped leather in top-of-the-line High Country models. With the High Country trim, Chevy brings the Silverado in line with GMC's Denali offerings, adding a premium look and feel previously unavailable in the Chevy lineup. Seats front and back have been redesigned and recontoured for this generation, and steering wheels can now be optioned to adjust telescopically as well as for tilt; a heated steering wheel is also available for these trucks. Chevrolet's MyLink screen-based interface is easy to learn use, and doesn't involve the learning curve and frustration of systems like MyFord Touch. Straightforward controls, and enough redundancy with traditional knobs and buttons, make it easy to figure out at first glance, and many items can also be controlled using voice recognition. The 2015 Chevy Silverado lineup is a step up from the previous design, and new active-safety features add a security net. With an improved frame, a new cab structure, and a revised seating position as well as more safety equipment, the current-generation Silverado performs much better than did the trucks that were replaced for 2014. In NHTSA testing, the 2015 Silverado 1500 earns a five-star overall rating, with five stars in the frontal and side crash categories and a four-star score in rollover testing. The Insurance Institute for Highway Safety (IIHS) gives the latest Silverado a top 'good' score for moderate overlap front crashworthiness but hasn't performed other testing as of yet. The IIHS also acknowledges the SIlverado's available basic crash-avoidance tech, which includes a front crash warning system that uses radar sensors to detect when a possible impact is imminent and alerts the driver. Standard safety equipment includes StabiliTrak with Trailer Sway Control, plus Hill Start Assist, as well as head-curtain side airbags with rollover protection. An available Lane Departure Warning system keeps the driver alert of lane drifts via a chime or optional Safety Alert Seat—much like what’s offered on most Cadillacs and many other GM products. Bigger spotter mirrors help reduce the size of blind spots, even though the mirrors themselves are smaller and more aerodynamic, while other safety features on offer include a camera-based Forward Collision Alert system, front and rear park assist, and a tailgate-mounted rear camera. All the way from simple WT work truck versions to the new, top-of-the-line High Country model, the 2015 Chevrolet Silverado is everything you need. The 2015 Chevrolet Silverado offers a laundry list of standard features than before. Those looking to go beyond can equip their truck like a luxury vehicle. All Silverado models include air conditioning and keyless entry. Silverado LT models add heated front seats, power-adjustable pedals, fog lamps, and parking assist, and for 2015 LT models with the front bench seat also get a USB port for the upper glove box. LTZ models add cooled front seats, a Blu-Ray entertainment system, dual-zone automatic climate control, and 18-inch machined aluminum wheels. The Chevrolet MyLink system is available on the Silverado, offering connectivity for up to ten devices, natural-language voice recognition, and an eight-inch touch screen. The system allows up to 60 favorites to be saved for contacts, destinations, radio stations, or other media. And this year, an Enhanced My Link version adds text-message alerts, Siri Eyes Free, and an available OnStar 4G LTE hotspot (with an embedded/subscription data servie). All models now include multiple USB ports plus both 12-volt and 110-volt power outlets (with USB ports in multiple locations in the LTZ), and most models include a 4.2-inch color Driver Information Center set between the gauges. As a sort of companion to GMC's top-trim Denali models, Chevy offers the High Country trim on Crew Cab models. The luxury package includes High Country badging, a unique exterior look, and increased standard equipment. The interior features nicer leather with piping, heated and cooled front seats, a premium Bose sound system, power-adjustable pedals, and the eight-inch touch screen with MyLink infotainment. High Country trucks also include parking sensors, lane-departure warning, and forward collision alert. Off-road-oriented Z71 models add (to LT or LTZ) unique 18-inch wheels plus brushed metal sill plates, special graphics for the instrument cluster, and a 'technical' finish for the interior trim. Z71 models include front tow hooks, Rancho monotube shocks, Hill Descent Control, a transfer-case skid plate, and special all-terrain tires. There's also a locking rear differential that can react quickly to a loss of traction on one of the rear wheels and help regain traction. Badging in the grille and on the bedsides proclaim the Z71's status to anyone doubting its dirt readiness. The Silverado also offers a lot of utility-oriented convenience features. The new CornerStep bumper and built-in hand grip help make it easier to climb up and access things in the bed, while LED lamps built into the bed rails help spot smaller items within the bed, and is especially helpful when a truck cap or tonneau cover is installed. Top LTZ models have USB ports in multiple locations, along with a 110-volt outlet, to power all of your chargers, devices, and accessories. For 2015, a spray-in bedliner is now offered on all models, and new trailering mirrors with back-up lighting are available. The 2015 Chevy Silverado lineup has impressively efficient V-8 models and very frugal V-6 models; but the Hybrid is no more. The time and energy invested in revamping the Silverado's engine lineup last year pays off with fuel economy that's very competitive with the other full-size light-duty trucks. 2015 Silverado 1500 V-6 models earn 18 mpg city and 24 on the highway with rear-wheel drive; add 4WD and it drops to 17/22 mpg. V-8 models get EPA ratings of 16 mpg city, 23 highway with rear-wheel drive, or 16/22 mpg with 4WD. EPA fuel-economy ratings for the 6.2-liter V-8 mated to the new eight-speed automatic are not yet available, but should improve on the 6.2/six-speed combo, which maxed out at 15 mpg in the city and 21 on the highway. It's likely that these numbers will be quite reproducible in real-world driving as well. On a 42-mile loop of hilly two-lane country roads, we averaged 23 mpg in a V-6—when driven normally, and a bit briskly. I purchased my 2015 Silverado 1500 LT with the regular cab and long bed because I needed maximum space to haul antiques. The truck is equipped with the 4.3 V6 which is very responsive and handles my 7'x 14'... I purchased my 2015 Silverado 1500 LT with the regular cab and long bed because I needed maximum space to haul antiques. The truck is equipped with the 4.3 V6 which is very responsive and handles my 7'x 14' enclosed cargo trailer quite well, even loaded with antiques. The engine is much improved in power and torque and is matched well with the 6 speed automatic. 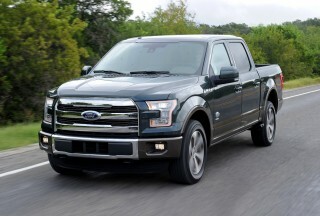 As is always the case with a full size pickup, fuel mileage could be improved. On the highway with no load, I get up to 25 mpg on long trips. Around town it gets 13 to 14 mpg. Hook up the trailer and mileage drops to 10-12 mpg. I find the seats to be very comfortable over a long trip. I prefer a firm seat due to a back problem. I only have two complaints about my truck. First is the front air dam below the bumper extends down too far. It scrapes on low spots and if you happen to back off of a curb, it damages or pulls the dam loose. I have had to replace the front air dam once and the truck only has 8,000 miles. My second issue is with cab roominess, especially on the passenger side. I had a rather large friend with me the other day and he found it impossible to get comfortable. The cab should be redesigned to allow for more travel back with the seat. fuel mileage is terrible only getting 8.7 miles to the gallon pulling our camper. Powerful, Smooth, Great Looking. I love this truck! My 2014 Silverado came with the 275 HP V6 engine. It has plenty of power and my observed fuel economy averages around 20 MPG. On a 500 mile road trip it averaged just over 23 MPG with 650 pounds in the bed. This is the Best Silverado I have ever owned ...And I owned 11 silverados . Quality Fit and Finish . Gas Mileage is great and Plenty of Horse Power ..... AWESOME TRUCK !!! love my Silverado .